Cobbett's Pond takes its' name from Reverend Thomas Cobbet who was a minister in the towns of Lynn and Ipswich in Massachusetts Bay Colony from 1637 - 1685. In 1662, he was granted a 500 acre plot of land that included the pond that would eventually bear his name. The first reference to the pond by the name, Cobbett's, can be found in a 1723 document as part of the early records of Londonderry. Throughout it's history the pond's name has been spelled with several different variations; some include Corbett's and Cabot's. However, the spelling, "Cobbett's", eventually became the standard. 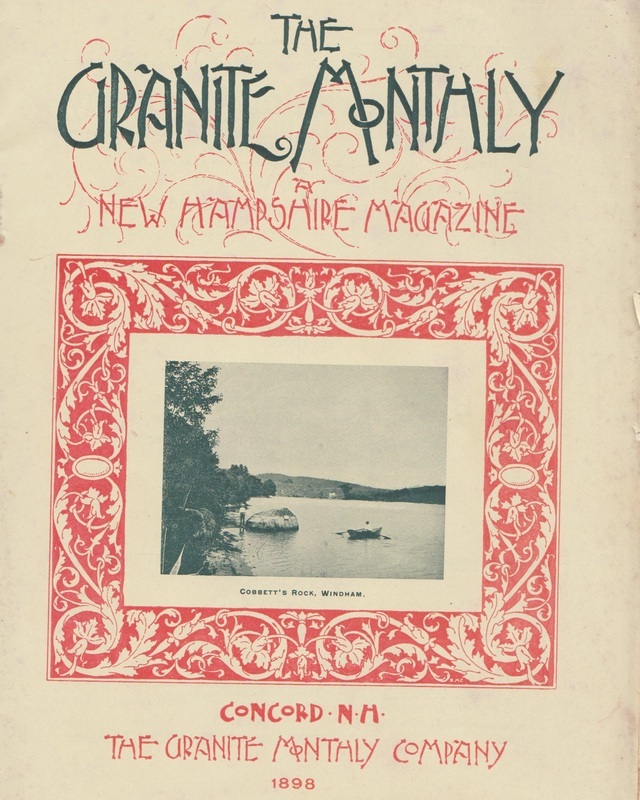 Cobbett's Pond on the cover of "The Granite Monthly" in 1898. 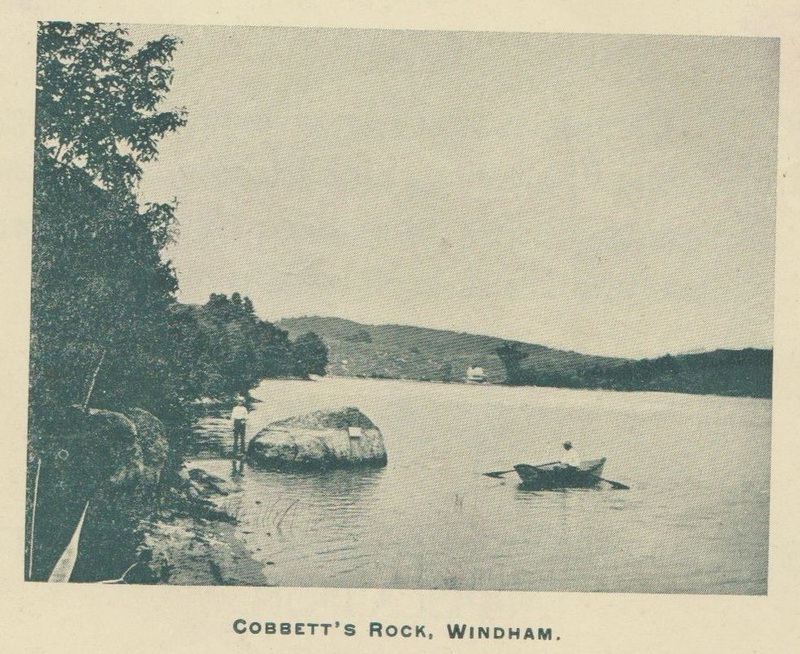 "Cobbett's Rock" and a canoe paddler is shown by the shore. The rock was a boundary marker in the original deed to Reverend Cobbet. The magazine goes on to describe the pond, with photographs, in a several page article. Below, the photograph is shown in more detail. 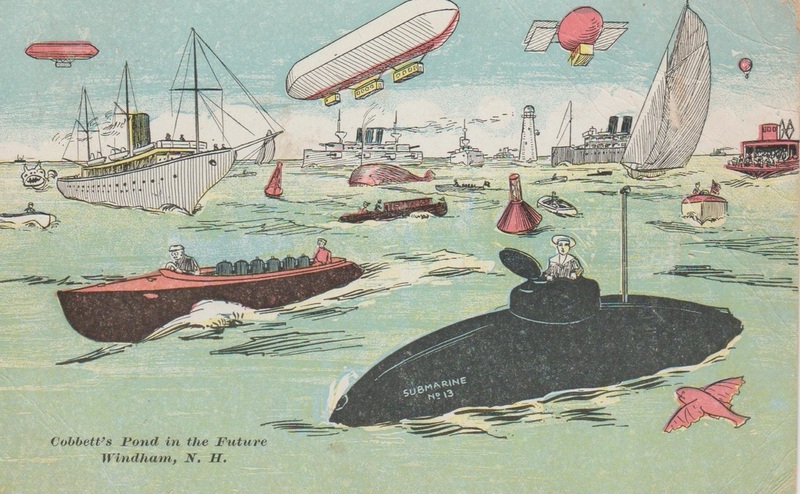 At one time "futuristic" views of places were popular and postcards often depicted dramatized scenes that including planes, elevated railways, and ships and flying machines of every kind.